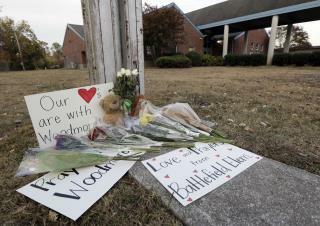 (Newser) – Doctors at a Chattanooga, Tenn., hospital say there were heartbreaking scenes of confusion when young children arrived after Monday's horrific school bus crash. "Many were scared or too dazed to talk to us," says Dr. Darvey Koller, emergency room chief at TC Thompson Children's Hospital, per the Chattanooga Times Free Press. Some children didn't know their birthdates or their parents' names, and "several said 'Mama' when asked what their mother's name was," he says. Hospital staffers had to send photos of the children, who were in kindergarten to fifth grade, to teachers to find out their identities and contact their parents. Five children were confirmed dead after the crash. Nineteen were treated and released, while 12 remain in the hospital, six in critical condition. Horrible these schoolbus drivers. They all drive too fast, cut in and out of traffic, don't obey ped crossings, nothing. And we are all paying for this outrage!!! Years ago I saw a school bus run a light crossing a 4 lane highway. I saw the bus number and made a call as soon as I got home. The driver was fired the next day. The scary thing is I had family members on that bus.